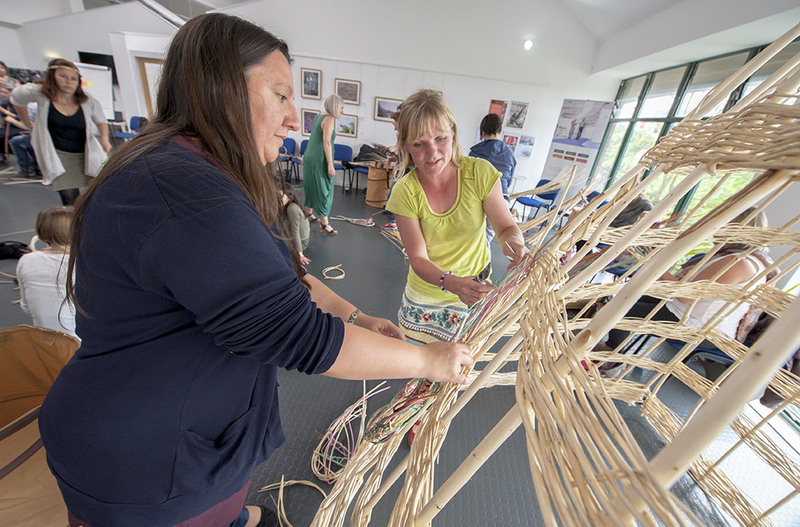 Funded by the Ministry of Justice, in June 2017 I was asked to create a large willow woman sculpture and lead a willow weaving workshop for the Resilient Women Summit hosted by CoLab in Devon. 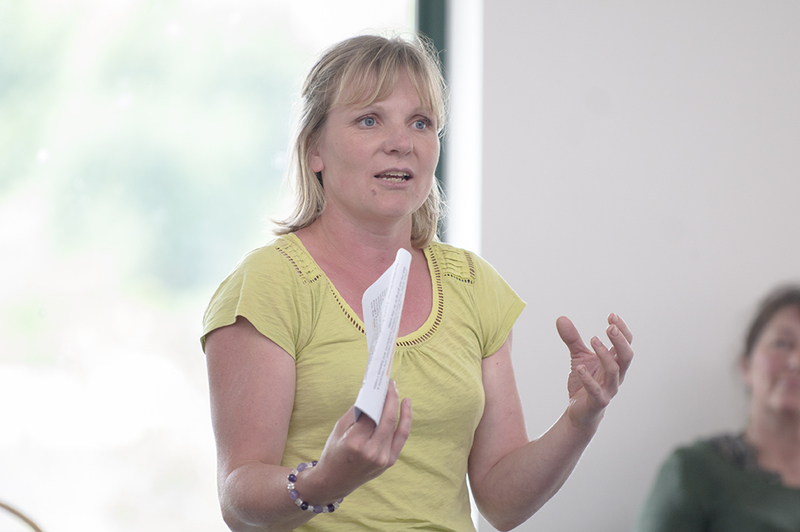 Across Devon many women are coming into contact with the justice system unnecessarily. 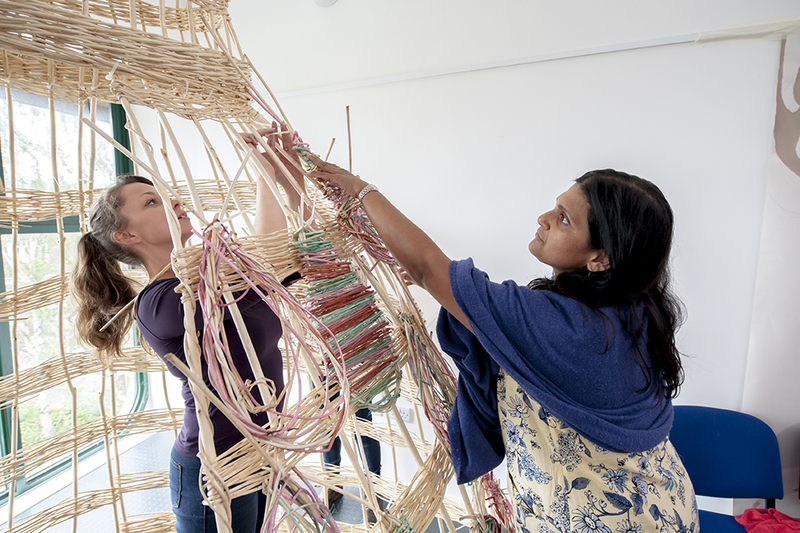 To kick start the Resilient Women project, CoLab invited over 50 women to participate in a one-day “collaborate-to-change” summit. 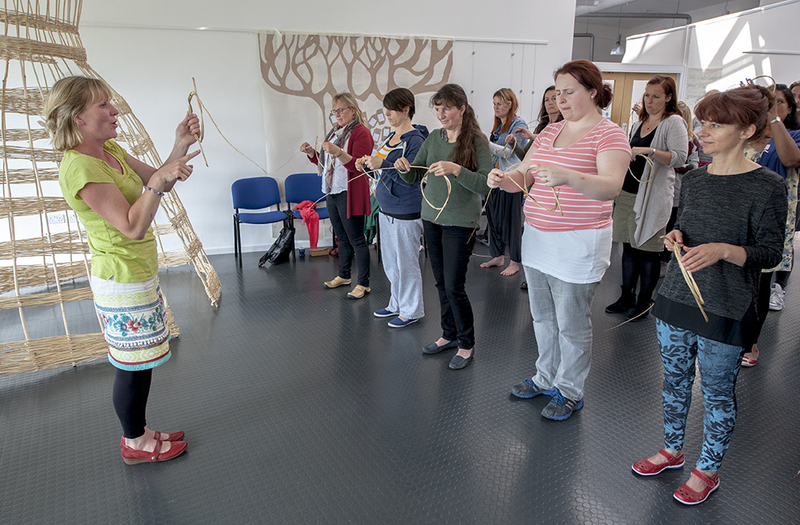 All those attending, including the workshop leaders, participated in creative led workshops that began to design new ways to improve the lives of vulnerable women and their families by focusing on resilience first. 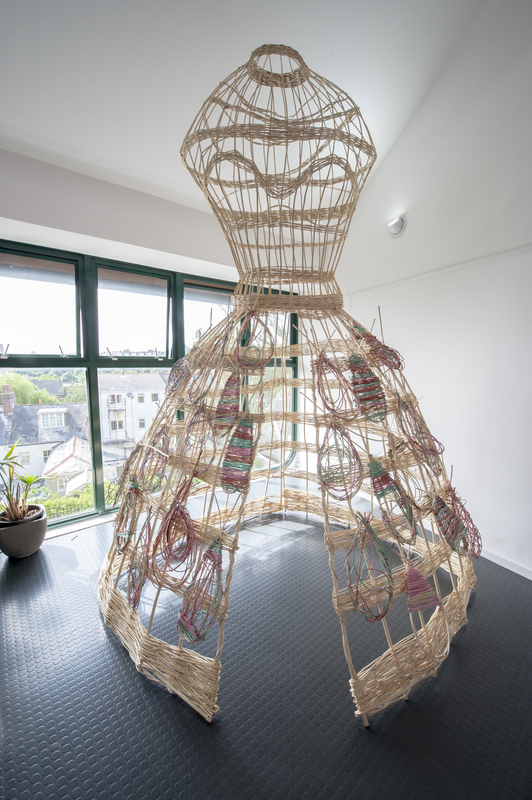 The 12ft high willow woman sculpture that I created using basketry techniques stands in the forum at CoLab in Exeter and was decorated with willow petals that were made by each woman who attended the summit and my workshop. 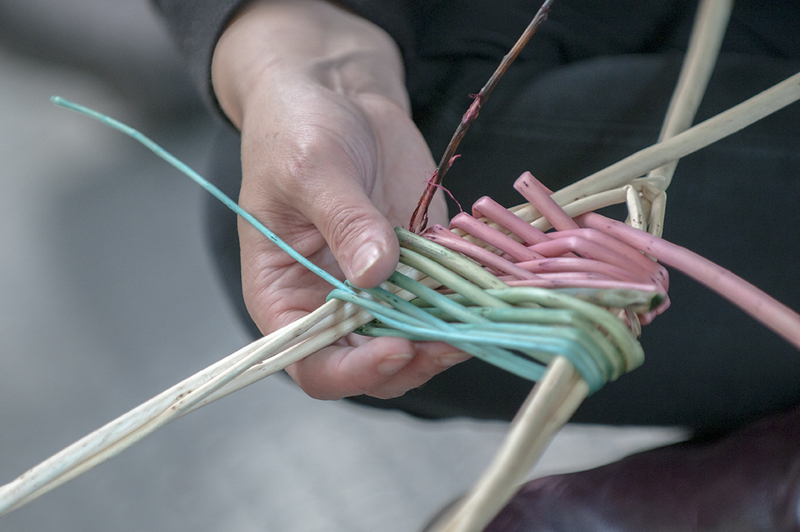 It was brilliant to have so many women simultaneously learning how to weave and I was truly touched by the amazing stories that I was made privy to as we wove our petals. 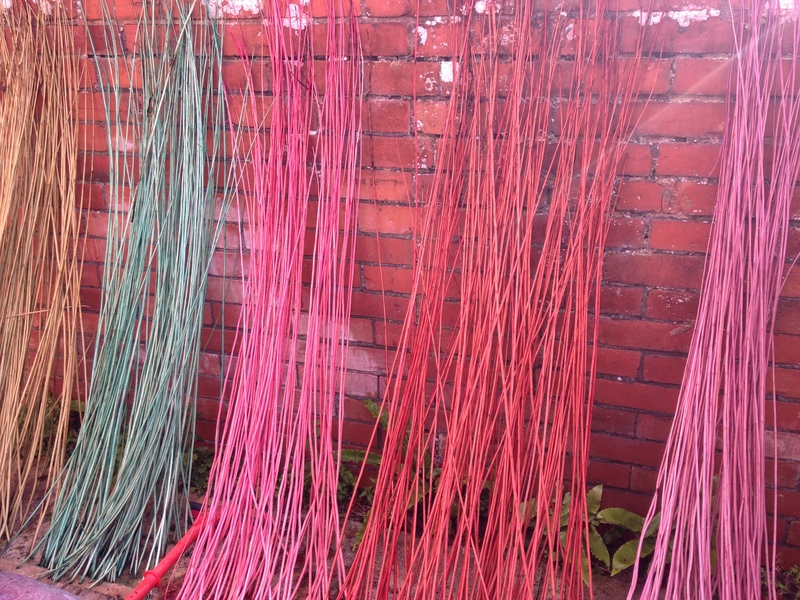 I had decided to experiment with dyeing the white willow and this led to colourful petals whose character often reflected the maker. 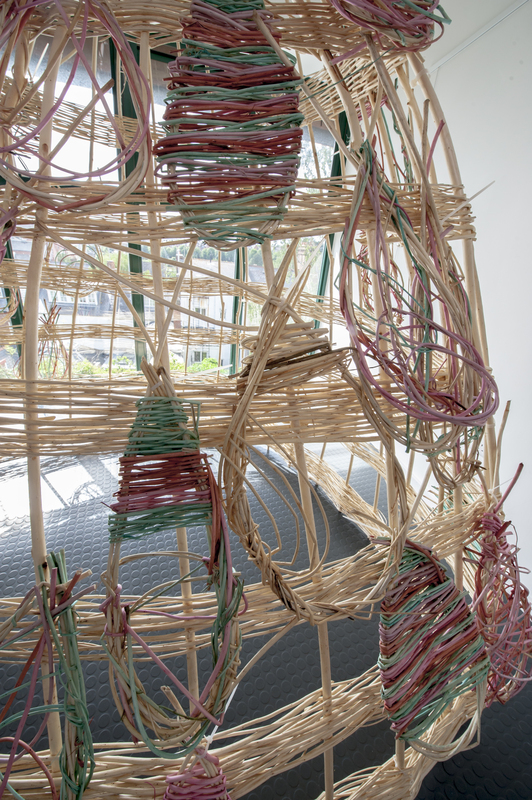 I saw women smiling and laughing, telling stories as they wove petals that often became a visual representation of themselves. 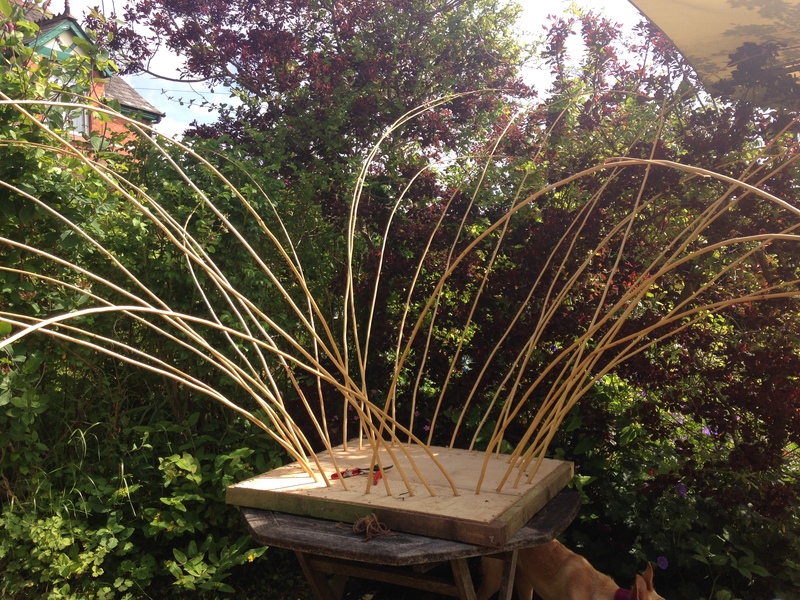 Once finished, each woman attached their petal onto our large willow woman sculpture. It was a brilliant day, surrounded by incredible, strong and wisdom filled women who helped me to begin a new chapter of my life. 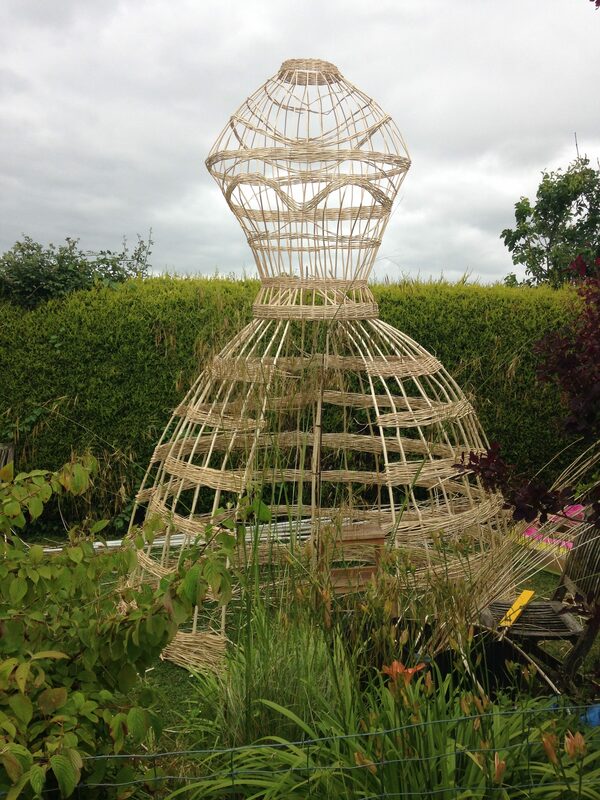 Thank you to everyone involved, especially to Amanda Kilroy, director of CVS for her determined support and kindness and to Coates English Willow for their willow donation. 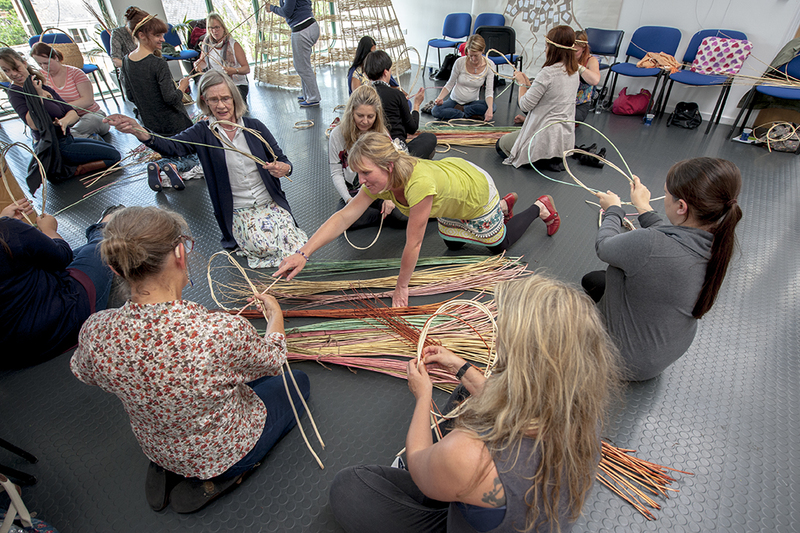 Since the Resilient Women Summit in June ’17 I have been very fortunate to continue to teach at CoLab, Exeter, leading a one day willow weaving workshop in August and a 3 session willow weaving course in December. 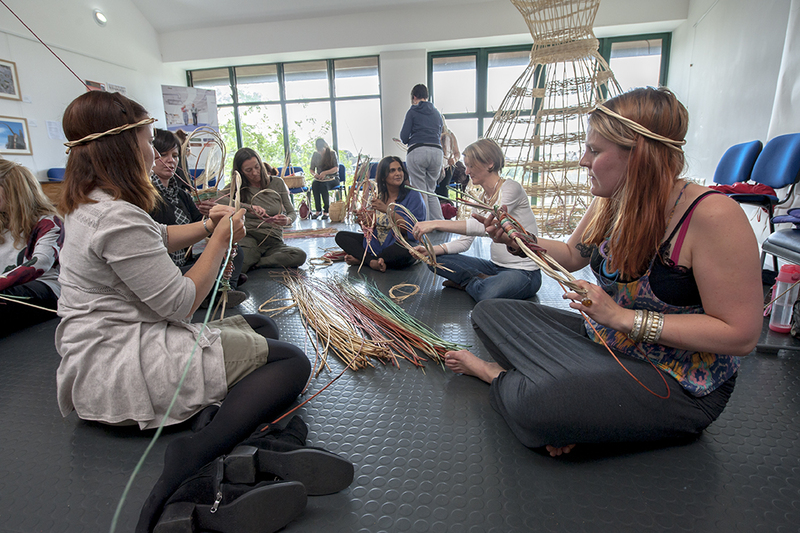 During these workshops the amazing learners made Christmas wreathes, Zarzo and free woven sculptural willow baskets and lots more! 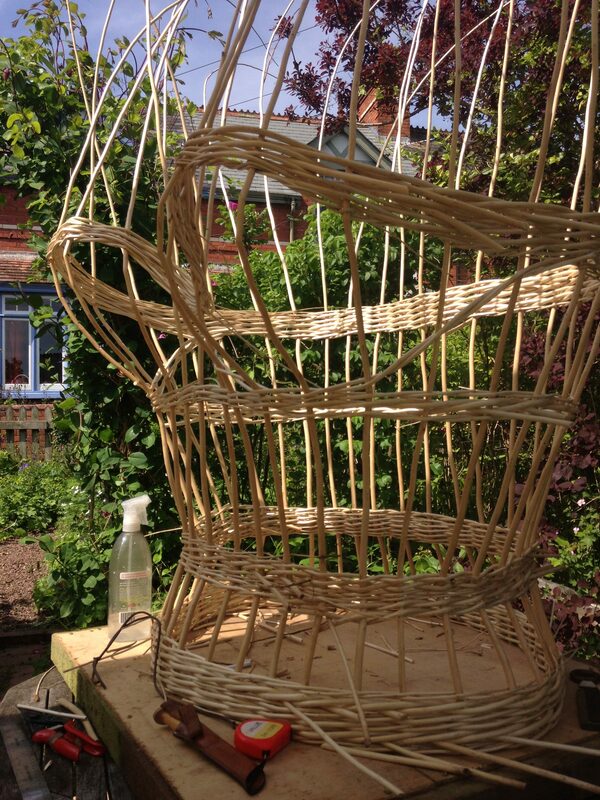 Experimental dyeing of willow for the summit workshop. 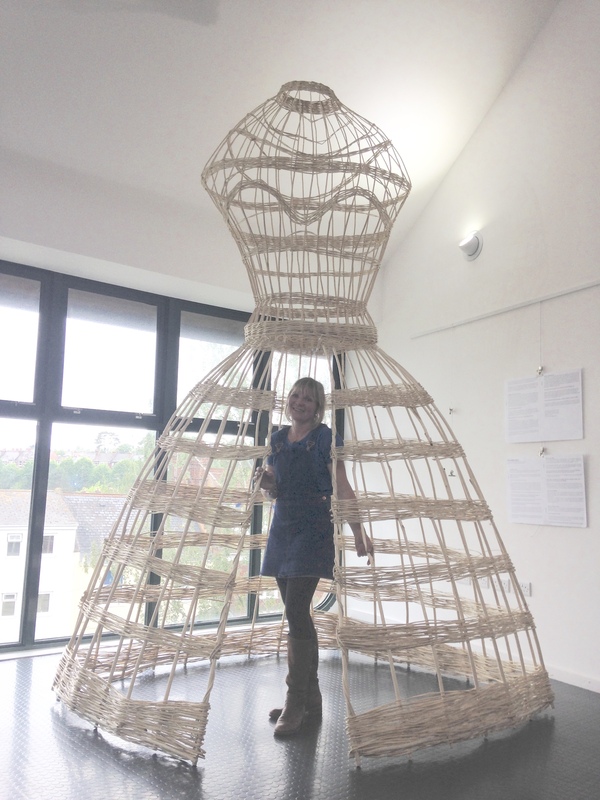 The Willow Woman Sculpture and me! 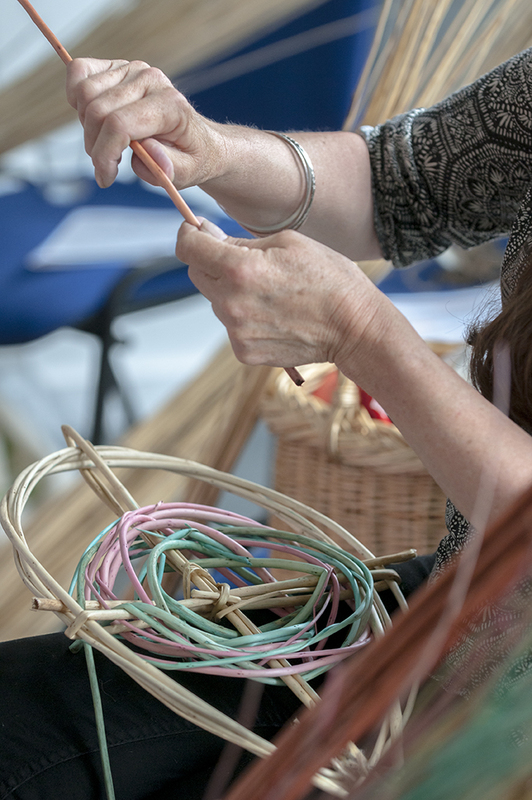 Beginning the willow weaving workshop at the summit. 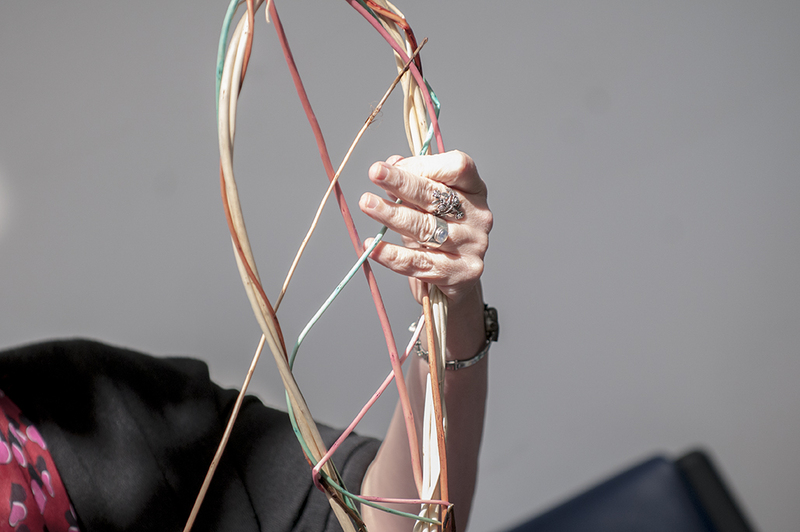 Learning how to make willow hoops and petals.